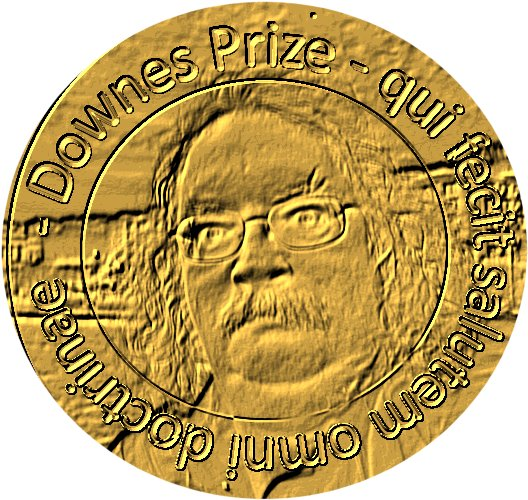 Every year at this time I award the Downes Prize to the most-read post of those I've posted some time in the previous 365 days. This year that means any one of 1246 total posts from hundreds of authors around the world. The award is intended to be an objective measure, not based on popularity contests, campaigns, or any other such thing, but reflective of actual interest in the item on the part of OLDaily readers..
Peter B. Kaufman, Intelligent Television, Feb 09, 2017. Two major stories dominated the interests of OLDaily readers in 2017: the impact of fake news, and the continuing ascendancy of the MOOC. While last year's winner looked at the former, this year's winner looks at the latter. Peter Kaufman covers two major areas on MOOC production: first of all, how to create MOOC videos, and secondly, open licensing for MOOC contents. This practical guide spoke to people interested in how to make open online education work for the betterment of humanity, which makes 2017's choice a fitting winner. Instructional Quality, Student Outcomes, and Institutional Finances - Martin Kurzweil, Jessie Brown, American Council on Education, July 24, 2017. Open Badges: A Low-Cost Toolkit for Measuring Team Communication and Dynamics - Oren Lederman, Dan Calacci, Angus MacMullen, Daniel C. Fehder, Fiona E. Murray, Alex “Sandy” Pentland , arXiv, October 14, 2017. In 2016, the Downes Prize was awarded to Michael Caulfield, for New Directions in Open Education published in Hapgood, Oct 10, 2016. In 2015, the Downes Prize was awarded to Alaa A. AlDahdouh, António J. Osório and Susana Caires for Understanding knowledge network, learning and connectivism published in theInternational Journal of Instructional Technology and Distance Learning.